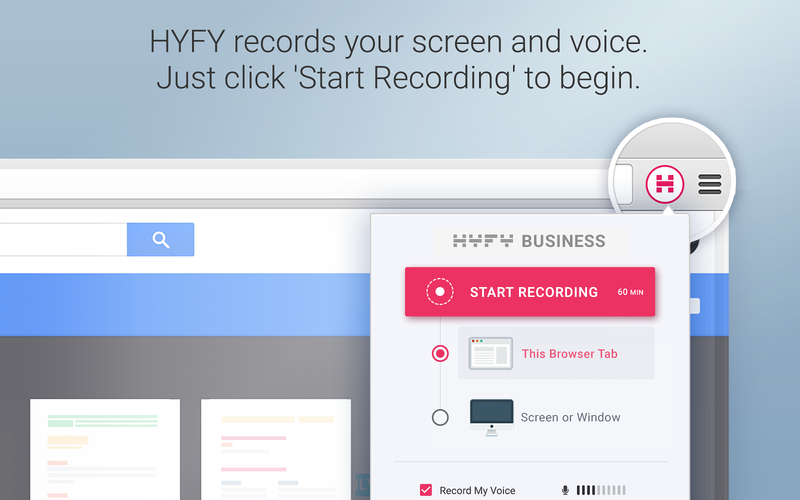 HYFY is the simplest way to record your screen and voice and share it with your team. It features one-click recording and no video files to convert or upload. 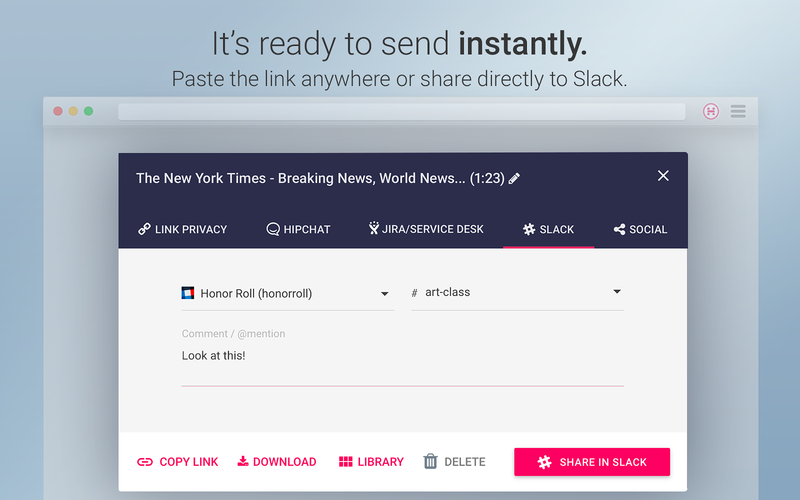 You can share directly to any Slack channel or simply copy/paste a link into any other tool. 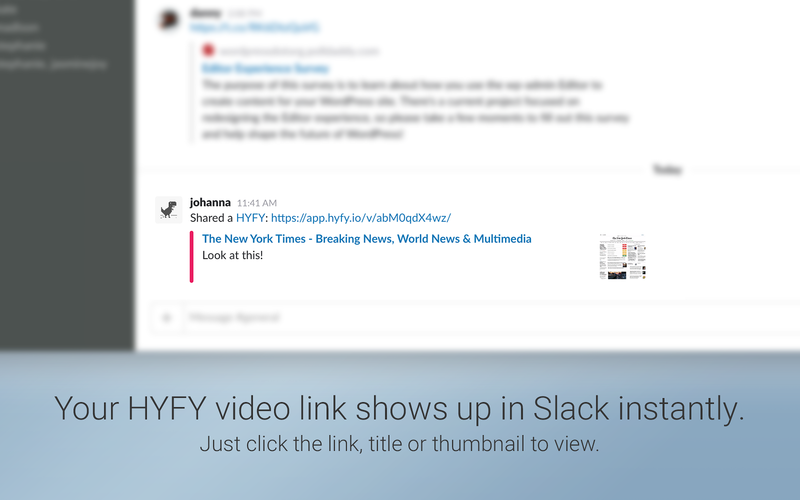 HYFY can integrate with multiple Slack teams and HYFY videos are viewable by anyone with nothing to install. HYFY Screen Video Recorder will be able to access basic information about your public channels (including names, topics, purposes, creation date, and latest message). HYFY Screen Video Recorder will be able to access basic information about your private channels (including names, topics, purposes, creation date, and latest message). HYFY Screen Video Recorder will be able to access information about your workspace, including name, email domain, and icon. 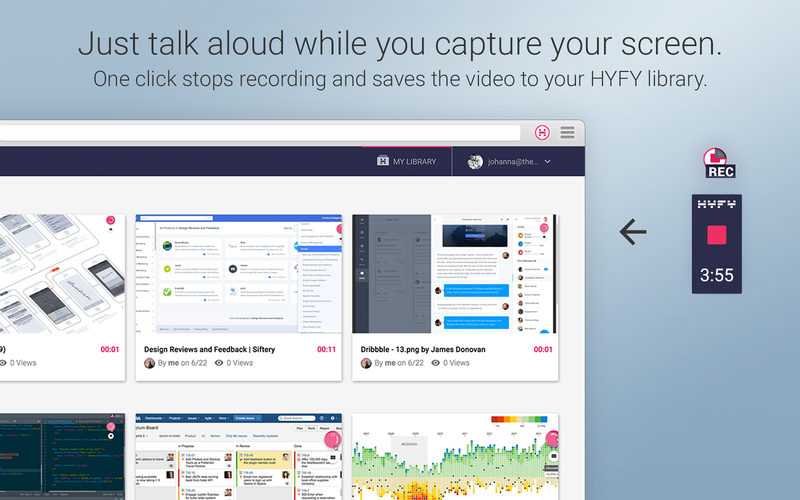 HYFY Screen Video Recorder will be able to send messages to your workspace. HYFY Screen Video Recorder will be able to modify the unread status of your direct messages. HYFY Screen Video Recorder will be able to view the email addresses of your Slack workspace’s members. HYFY Screen Video Recorder will be able to view your user id number, full name, and workspace id number on your workspace. HYFY Screen Video Recorder will be able to view your email address on your workspace. 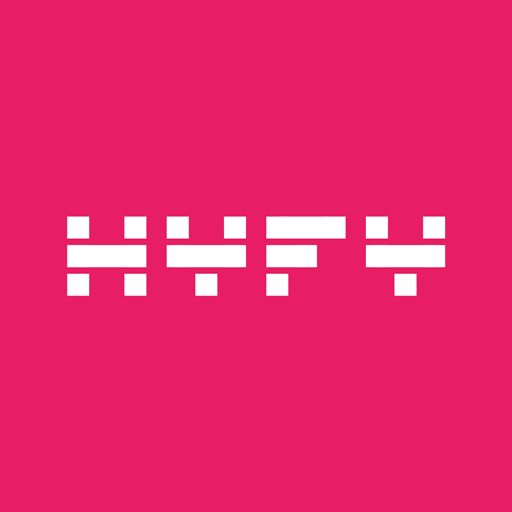 HYFY Screen Video Recorder will be able to view your Slack avatar on your workspace. HYFY Screen Video Recorder will be able to access profile information for all users on your workspace, including names and contact information. HYFY Screen Video Recorder will be able to send messages on your behalf to your workspace.